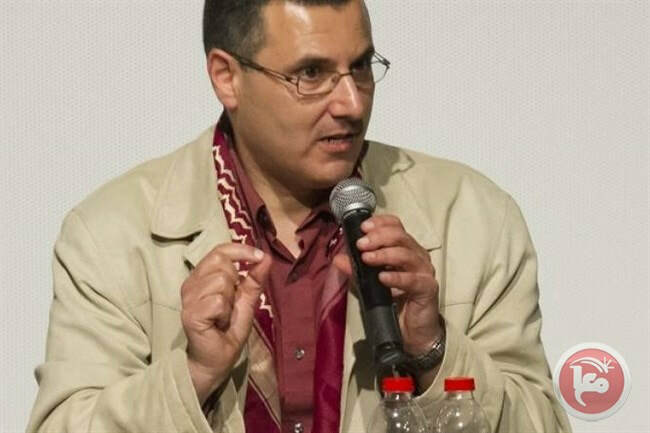 The United States administration denied entry to Omar Barghouti, a Palestinian human rights defender and a co-founder of the Boycott, Divestment and Sanctions (BDS) Movement, this week allegedly due to his political activities. 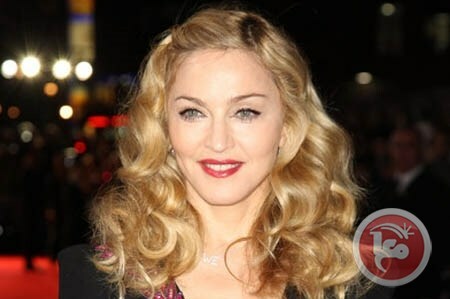 American singer-songwriter, Madonna, will perform at the 2019 Eurovision Song Contest, which is due to be held in Tel Aviv, in central Israel, amid calls to boycott the event, on Tuesday. The organization also posted a message for the singer on its website titled “Tell Madonna to Choose Freedom,” which said, “There's no neutrality in situations of injustice. Please stand with us on the right side of history to create a better world for all and cancel your performance at Eurovision. rapper Mic Righteous and a DJ set from alternative rock band and Mercury Prize-winners Wolf Alice. More acts are yet to be announced. 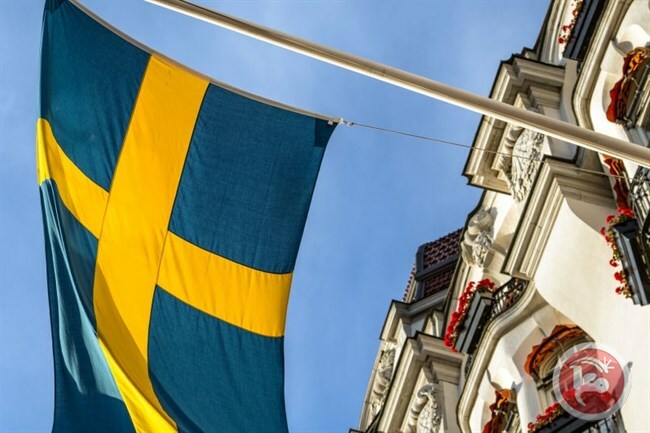 Some 171 Swedish artists and celebrities have signed an open letter urging to boycott the 2019 Eurovision Song Contest, in Tel Aviv, Israel, on Wednesday. The 15th annual Israeli Apartheid Week (IAW), the largest global Boycott, Divestment and Sanctions (BDS) mobilization for Palestinian rights, opened on Tuesday with more than 80 events in 40 cities across Europe, North America, and Palestine, featuring protests, lectures, film screenings, and cultural events. According to a press release, Israeli Apartheid Week is expected to be held in more than 200 cities worldwide. IAW officially launched over the weekend in the central occupied West Bank city of al-Bireh, where the Palestinian BDS National Committee (BNC) convened the Sixth National BDS Conference, a gathering with over 900 participants. The large BDS Conference in Palestine and worldwide IAW mobilization in support of Palestinian human rights are taking place against the backdrop of the far-right Israeli government's public admission of its legalized and institutionalized racist rule over Palestinians. Israel's new Nation-State Law is an example of a number of Israeli laws that systematically enshrine in Israel’s legal framework racial discrimination against Palestinians living in the Occupied Palestinian Territory (OPT), as citizens of Israel and in exile, fitting the definition of apartheid under international law. 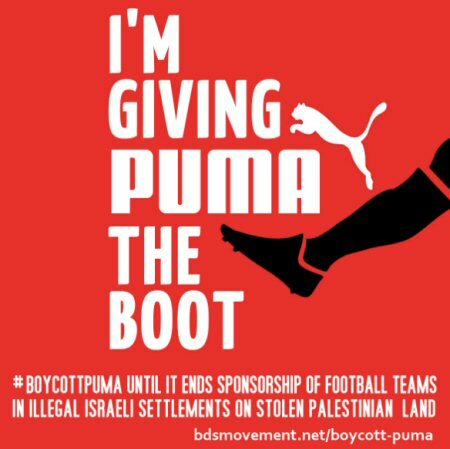 IAW 2019 focuses on the demand for a global military embargo on Israel after BDS activists asserted that the justification for this demand was provided by the UN report on “The Gaza March of Return,” which found that Israel may have committed crimes against humanity by killing scores of Palestinians and injuring thousands of others in weekly protests. 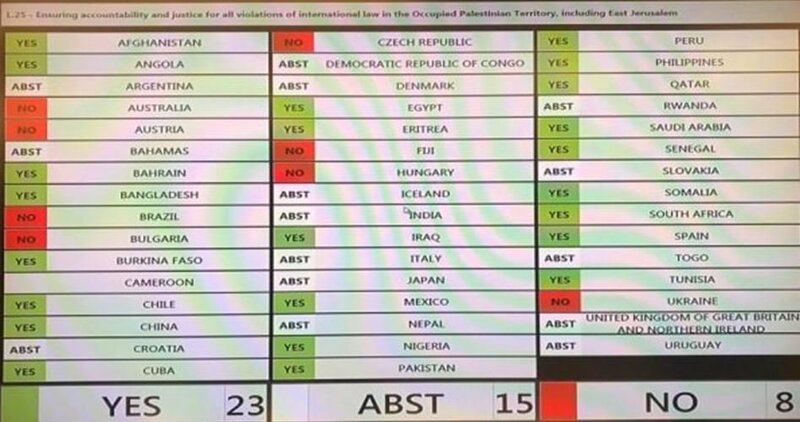 The Palestinian civil society, Amnesty International, the UK Labor Party, and other civil society groups have all called for a military embargo on Israel. 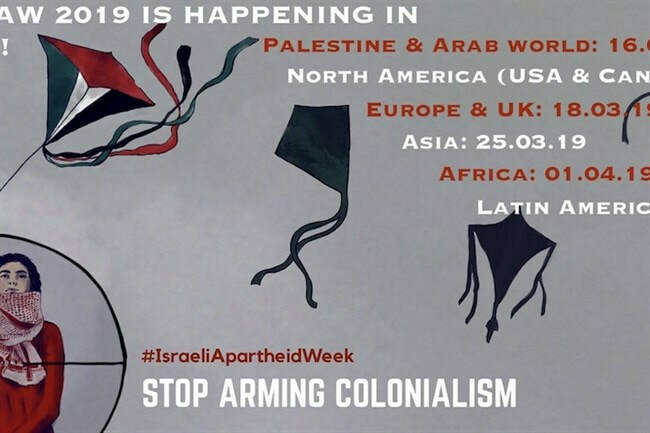 IAW is an international series of events raising awareness about Israel’s apartheid regime over the Palestinian people and building support for the nonviolent BDS movement. Many additional IAW events in Asia, Africa and Latin America, where IAW runs from March 24th to April 13th, will be added to the more than 80 IAW events currently on the IAW calendar.